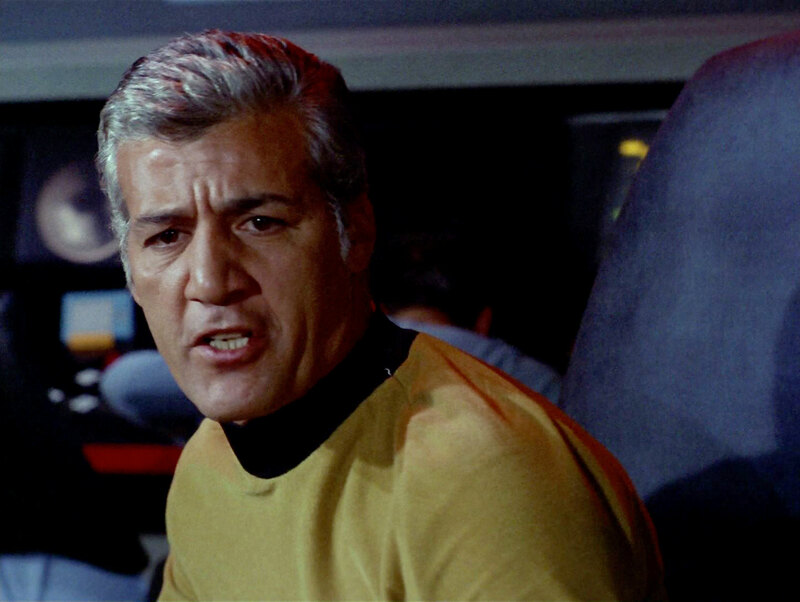 The bridge of the Constitution class (then known as Starship class) USS Enterprise was designed by Walter "Matt" Jefferies. In its center the Captain's chair is located, elevated on a small platform to put focus on the ship's commander, not merely symbolizing authority but, from a real-life point of view, to catch the viewer's attention. 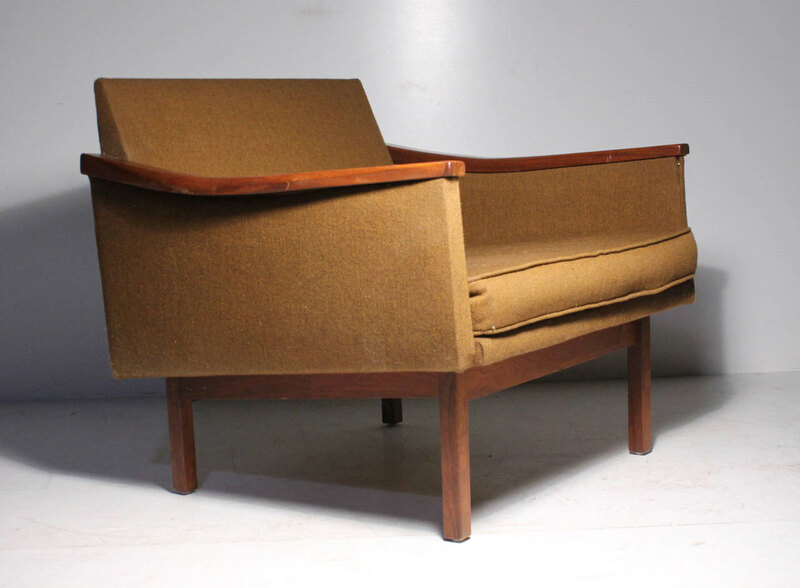 Built around a Madison Furniture Industries "Dimension 2400" lounge chair designed by Arthur Umanoff, the captain's chair was constructed by the Desilu set crew. 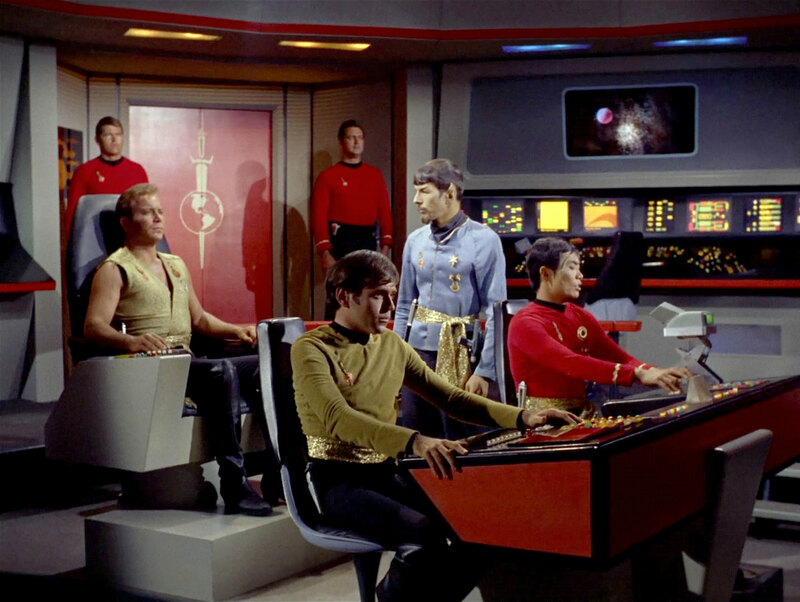 A massive frame was built around the original chair to house various pieces of equipment to give the captain points of interaction. 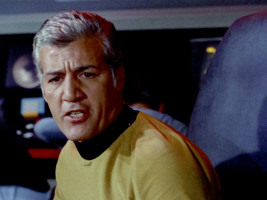 The captain's chair underwent two series of modification, each related to the updates the Enterprise herself received, both in a real-world and a fictional sense. 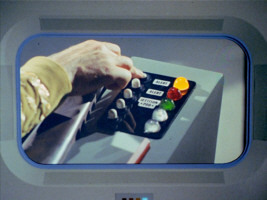 In its very first appearance, the captain's chair featured a limited set of interfaces but was equipped with what was dubbed the "gooseneck viewer" in the James Blish adaptations. 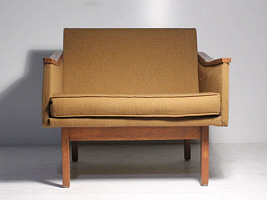 This incarnation of the chair lacked the blue communication panel due to the series creators' original intention for the gooseneck viewer to fill the role of an intercom device. The audio/video communicator fulfilled its role in both pilots. Captain's chair in "The Cage"
Captain's chair in TOS: "Where No Man Has Gone Before"
The second variant of the captain's chair featured one small modification: The gooseneck viewer was lowered and the drill hole was covered with a plaque labelled "3C 42". The reason for this modification is not clear, but was done probably to be more comfortable to William Shatner, who is shorter than TOS Captain Pike actor Jeffrey Hunter (Shatner: 172cm, Hunter: 183cm). Aside from this modification, the chair was unchanged. 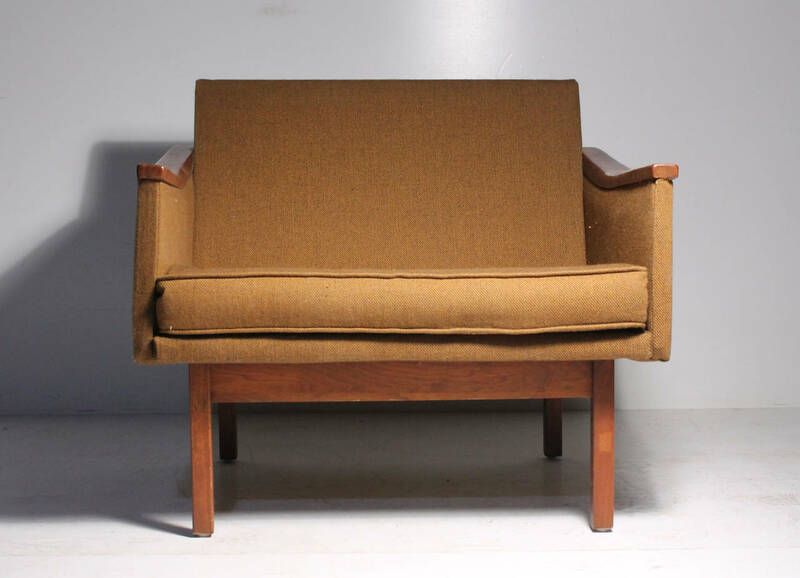 As Star Trek went into full production, the chair received its final facelift. The gooseneck viewer was removed, its communication features replaced by the well-known blue comm panel. This was probably done because displaying moving pictures on the small viewer required a large amount of bluescreening, a time and money consuming process back in the 60s. 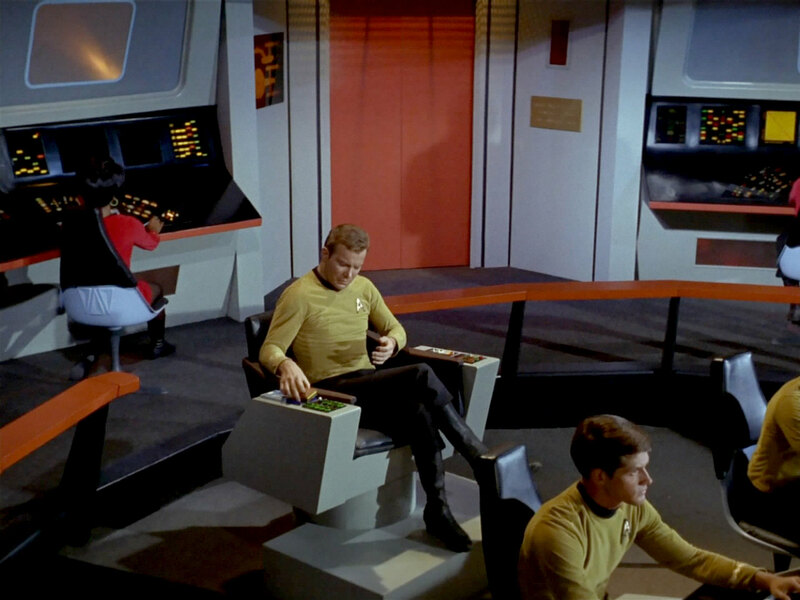 Captain's chair controls in TOS: "Court Martial"
The data card slot was also cut into the starboard side armrest and the port side received a row of flip switches. 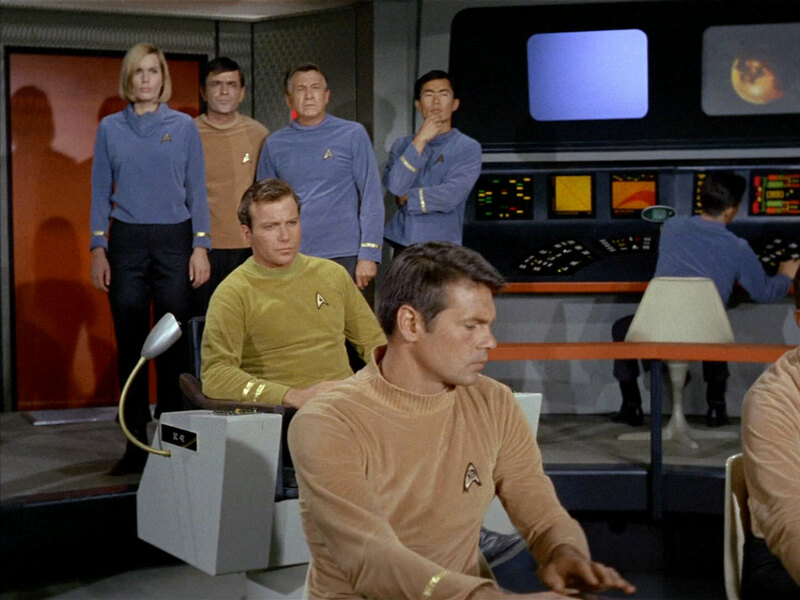 This configuration lasted throughout the production run of TOS and is the most well-known. 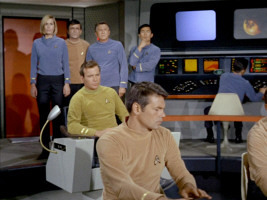 While most of the buttons' features were not established, three of them were labeled for the episode "Court Martial", signaling Yellow Alert, Red Alert and the jettisoning of the Ion Pod. Further functions are not established. 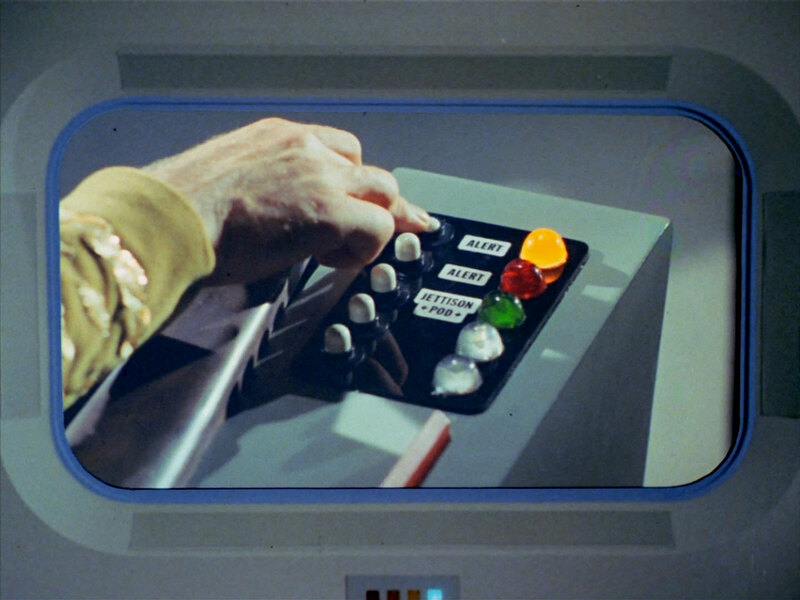 In some instances, Kirk pushes one of the buttons from the above console to activate the communicator, instead of pushing the comm panel's own button. No in-universe explanation is given for this. The Captain's Chair was further modified on two occasions, each to represent another starship, namely the Mirror Universe ISS Enterprise from the episode "Mirror, Mirror" and the USS Lexington from the episode "The Ultimate Computer". 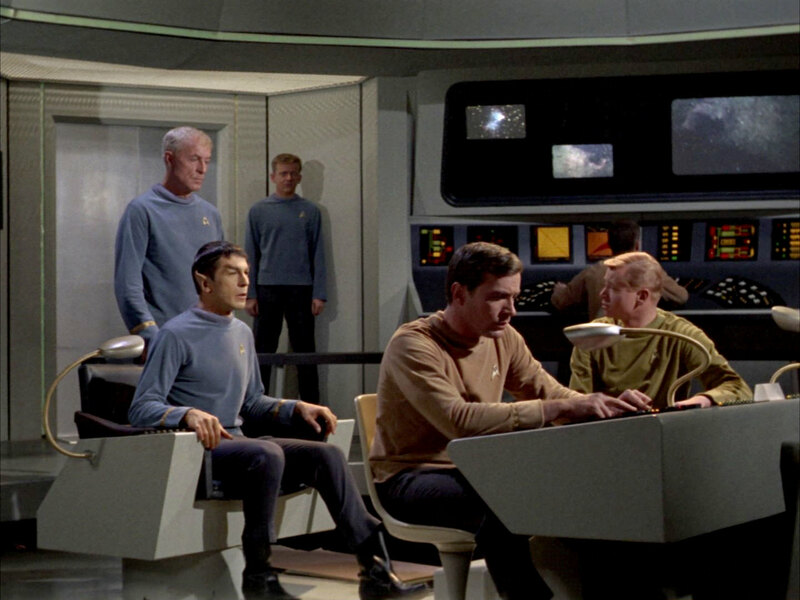 In both instances, a full backrest was added to the chair, in order to allow to distinguish it from the chair on the USS Enterprise. 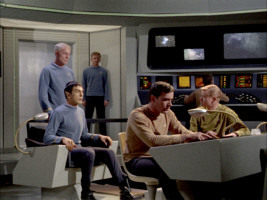 Captain's chair in TOS: "Mirror, Mirror"
Captain's chair in TOS: "The Ultimate Computer"